Swinging Stars-- swinging on a thread! Think of Dominica's Swinging Stars band and you can't help feeling a wave of nostalgia. Whether you're a longtime Swinging Stars fan or their music is a lasting childhood memory; maybe you heard about the band's exploits from your grandmother—you know it's all about dance. Yes, Swinging Stars band was synonymous in bygone with the traditional 'step-in-style dance' and has kept up with the times to encompass all forms of modern music. That's why, even though Swinging Stars is still well-loved and active today, thinking about the band brings wistful memories of bygone days. Things are different now. These days the term 'dance party' doesn't mean the same as it did in yesteryear. Today there is more 'party' and less 'dance'. Ask Norman Letang, who's been with Swinging Stars for 55 years. He joined in 1961, became band leader in 1969 and is now the manager. He's seen it all and knows what's changed and why. "There were more opportunities back then….there was no piracy. You made a record, it was sold and you were paid your royalty," Letang recalls. "There was less competition…today there are more genres of music. At one time, we used to travel [abroad] every other weekend and had to give up engagements. "Even locally we used to play three times a week, every Friday, Saturday or Sunday. Today there're few acceptable venues to play at, so the bands are suffering," he explains. "These places got good patronage," he says, noting that there weren't as many competing forms of entertainment in those days because "we didn't have TVs, smart phones, I-pads et cetera." "So people looked forward to going to dances on the weekend. So Swinging Stars got heavy patronage. We don't have that again at all," he says regretfully. Letang adds, "Today there's a lot more to do [in one's spare time] and there's a lack of venues as well . . .
As he reflects on what used to be, he expresses a sad prediction. "I suspect in a few years time there wouldn't be any dances around. Dances might be a thing of the past--- so I feel!" 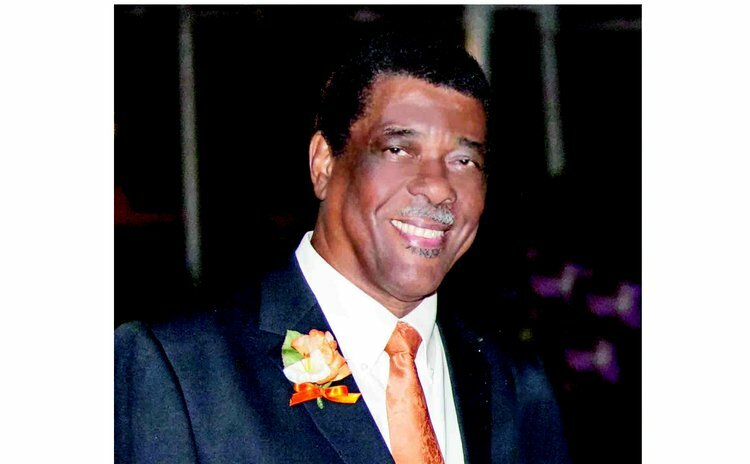 Every Swinging Stars fan in Dominica and elsewhere feels with him and hopes that his prediction will not come true and Swinging Stars and the dance party will live on forever.